Remember a while ago when I shared pictures of an art work using vintage spoons? (here) So, the other day I saw the image below on Pinterest and I thought had to share it here! 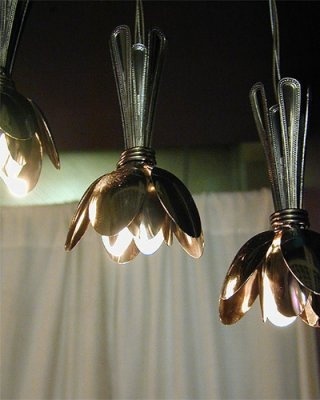 Blossom spoon lights! Cute, right? And it looks simple enough to try to DIY it, don't you think?